Click on the brand names to view the products. 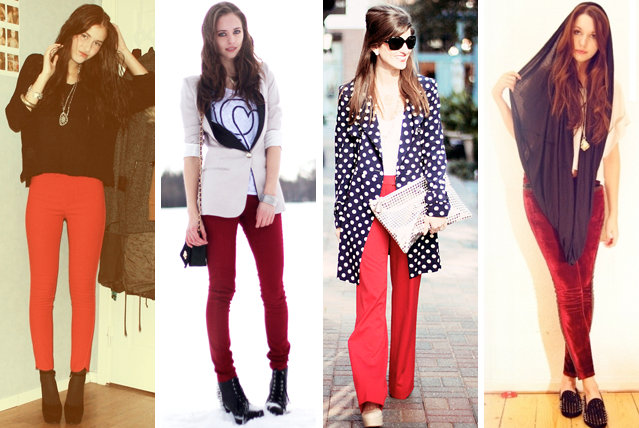 I don't actually own a pair of red trousers but I have seen them a lot lately in stores and on fashion blogs! They add this pop of colour you just don't get from regular jeans or jeggings. How to style them? From the looks of things the only prints you can get away with them are either red based or monochrome. Still unsure how to style your red trousers best? Check out the lookbookers below for some awesome styling ideas! Colored pants are the best, I just got an orange pair and I hope to find some mint green ones too some day. I love this trend. I have a pair that I used to wear all the time. I NEED SOME RED SKINNIES ASAP. need more colored jeans in my life and i already jumped to the red jeans bandwagon. love your blog my dear! 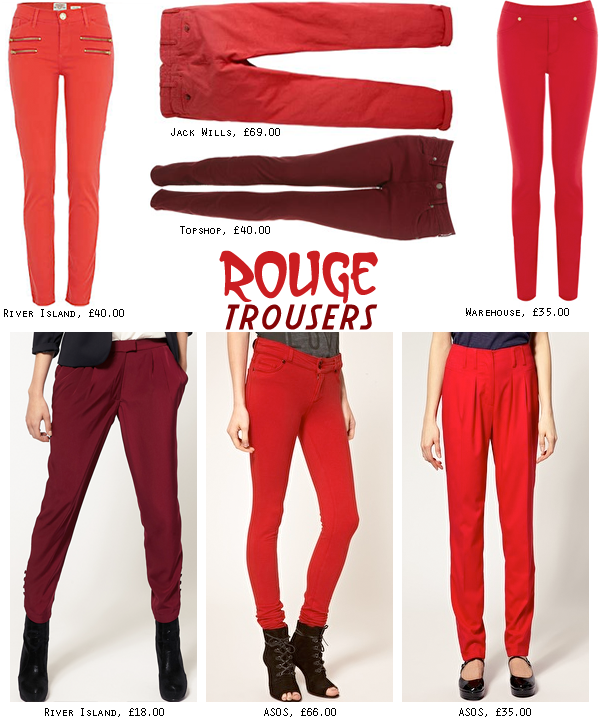 I'm loving red trousers at the moment, really want to get my hands on a pair! I think they'd look great with bright block coloured tops in the summer too. I so love colored jeans! yeah , such a nice inspiration ! 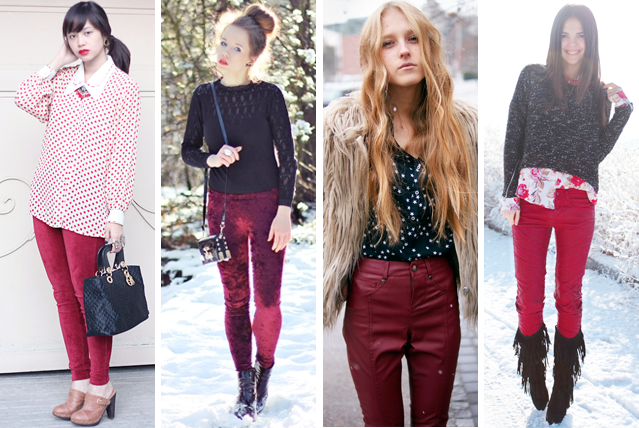 definitely red pants so hot and edgy love it !